Cleveland, Ohio’s Michael Stanley is probably best known for his time as the frontman for the Michael Stanley Band, a rock band that was active back during the years of 1971-1983. During that time, the Michael Stanley Band created its share of noise in the music industry with several albums of rock ’n’ roll music that ended up putting the Michael Stanley Band on the music charts. During their time, the Michael Stanley Band released songs like “Lover,” “He Can’t Love You,” and “My Town,” which are all still very recognizable songs. Stanley even had a little more success as fellow Clevelander Joe Walsh included Stanley’s “Rosewood Bitters” on his album The Confessor. These and other songs, like a personal favorite of mine, “Falling in Love Again,” are still making Cleveland fans happy all these years later. In fact, 16 Michael Stanley Band songs have been compiled back in 1992 by the Razor and Tie label for the Right Back at Ya release, a sort of “Greatest Hits” for those who were looking for just a slice of the history of the band. While it’s been 30 years since the era of the Michael Stanley Band (MSB), Stanley himself has never slowed down. Having continued to write and record under his own name, Michael Stanley has created a total of over 20 albums of original music, including 2000’s Eighteen Down. 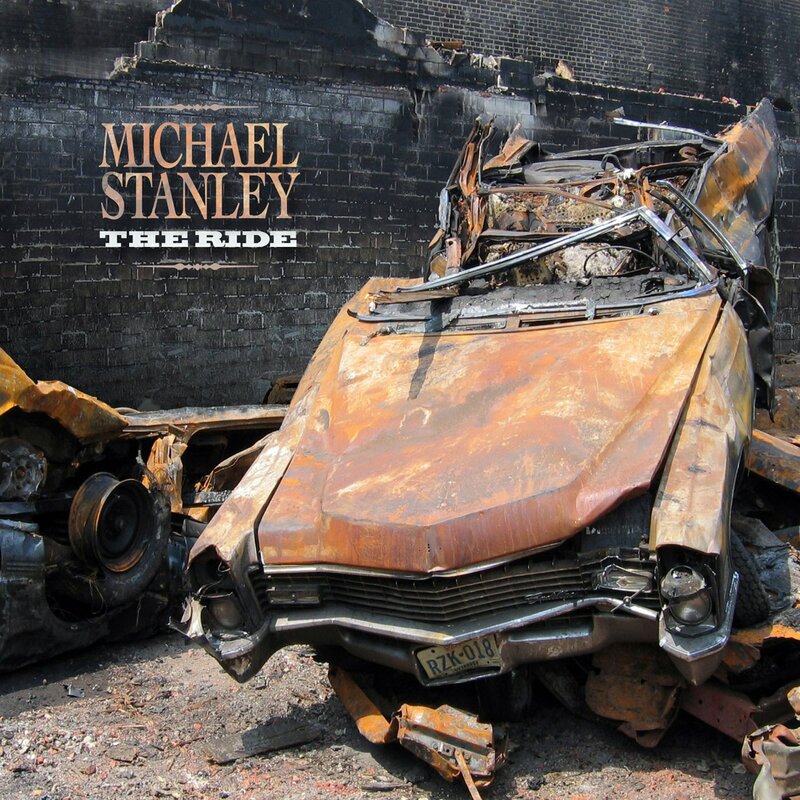 And now, in 2013, Michael Stanley has just released his newest album entitled The Ride. One of the things you will notice when you first put on The Ride from Michael Stanley is that he has more or less stuck to the type of songwriting that he was doing before, during and after the time of MSB back in the 70s and 80s. Because that era of rock has always been popular with the music-buying audience, The Ride ends up having a “timeless” feel to it. There are instances where the music takes on a more “modern” feel, but for the most part, The Ride stays true to the style that Michael Stanley fans are familiar with. Part of the reason that The Ride feels so much like past releases from Stanley is because of the fact that many of the musicians that are featured on the new album have either been part of MSB at some point or have helped Stanley create some of his post-MSB solo albums. In fact, when looking at the players on this album, it looks like a “Who’s Who” in Cleveland music: People like Jennifer Lee, Eroc Sosinski, Don Dixon and Frankie Starr have been part of the Cleveland Music Scene for years. While at the same time, Tommy Dobeck, Danny Powers, Bob Peelander and Michael Gismondi are all MSB alumni. Together, these musicians and the remaining musicians on the album are the biggest reasons why The Ride from Michael Stanley feels so familiar. The Ride from Michael Stanley begins with the track “Shiny Things”. The keys and faux horns on the track give the song a much more “orchestrated” feel than most of the songs that appear in Stanley’s catalog. The upbeat feel to the track helps give the album a strong beginning. While “Shiny Things” may be a strong track, it is with the song “All I Want” that the album really begins. With its commercial feel, “All I Want” could easily be the first single off of The Ride. The track features both keyboards and guitars as the driving forces to give the song a nice, balanced feel to it. The lyrics about longing are sung by Stanley in such a way that you can really feel the emotion in his voice. And while Jennifer Lee appears on the track, she really should be featured a little more; especially with the meaning behind the lyrics. This song seems like it could (and should) have been a duet between Stanley and Lee, although it doesn’t play out that way. With the “title track” of the album, Michael Stanley creates a track that easily brings to mind something from Bruce Springsteen and the E. Street Band. The music of “Take That Ride” sounds like something that would have come from the later years of that group; it even features a saxophone solo that easily could have come from Clarence Clemons, someone who HAD appeared on one of Stanley’s best-known hits, “Lover”. Back in 2000, on his album Eighteen Down, Michael Stanley recorded his version of the song “I’ll Kill Your Soul and Dare Your Spirit to Move” by the legendary Tampa Red in order to “restore some of the inherent evil” that should have been present but wasn’t. It is that type of evil feeling that seems to come through on Stanley’s track “Making Beds (in a Burning House)”. The dark approach to the music on “Making Beds…” sets the song apart from the rest of the album as the drums and bass play a bigger part in the music and add to the evil feeling on the track. The slower pace also adds to the darker ambiance of the song. While The Ride from Michael Stanley features a dozen original songs, Stanley has included two cover songs; the better of which is his version of “To Love Somebody” from The Bee Gees. Like Stanley’s earlier take on “Eleanor Rigby” by The Beatles where he made the song his own, “To Love Somebody” has also been re-imagined by him. The resulting track still retains some of its original feeling, but it now has taken on a different quality that makes it feel right at home within Stanley’s original songs. With every album he has made, Michael Stanley has stayed within a “classic rock” feel to his music. The Ride is no different. And while there aren’t many moments on the new release from Stanley where he pushes the envelope to take on something unfamiliar, it is that familiarity in his writing that brings his fans back time and again. The Ride will make fans of MSB and of Stanley’s solo career happy. It is also a good place for those still unfamiliar with his music to begin. CLICK HERE FOR MICHAEL STANLEY’S SONG “ALL I WANT” FROM THE RIDE.